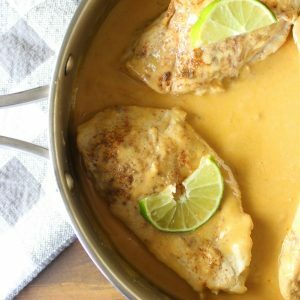 Looking for a quick and easy dinner idea that doesn’t require a lot of dishes or prep? 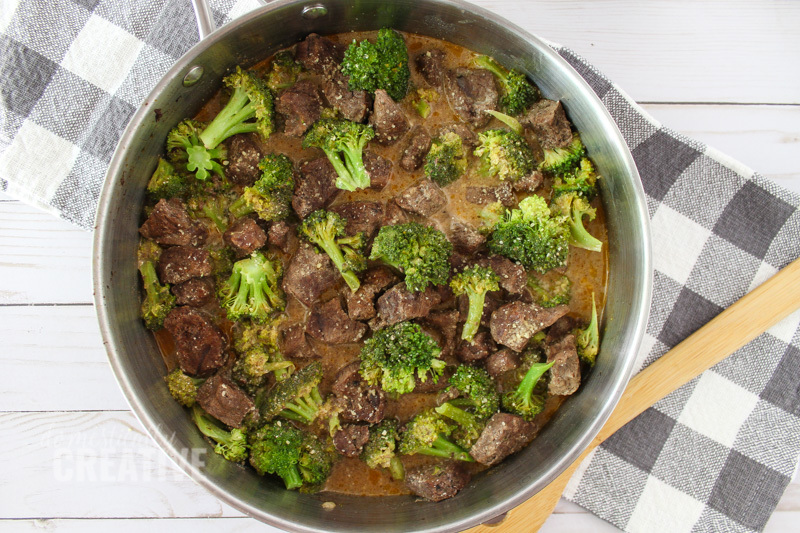 Then this one pot beef and broccoli dinner is just what you need. 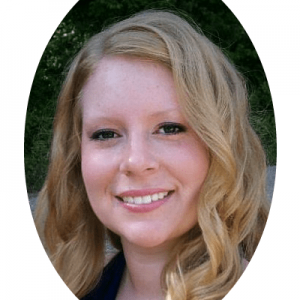 When my husband and I started on our low carb journey, I worried over what I would come up with for dinner. 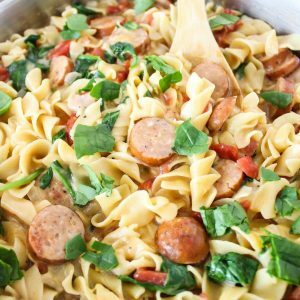 Would it take me tons of time to cook meals? Would there be a lot of prep involved, or would there be a lack of flavor? 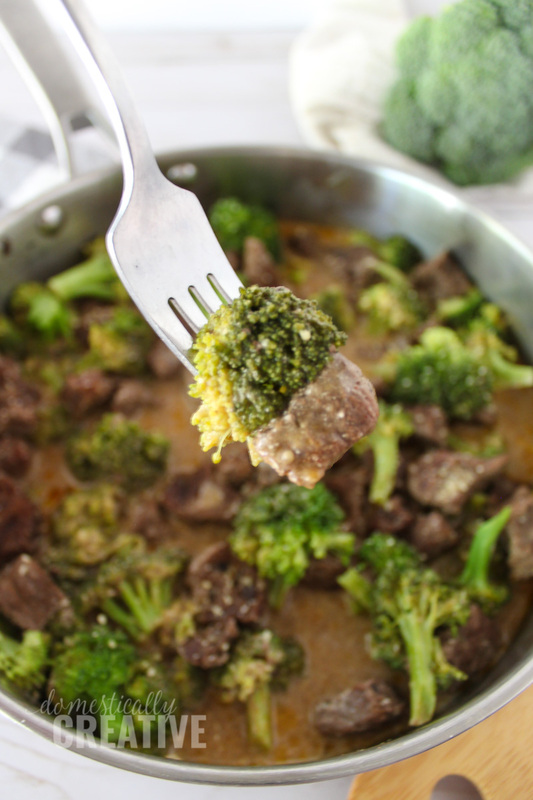 That’s not the case at all with this easy and delicious one pot beef and broccoli dinner. It’s my lower carb take on a traditional meal, plus there’s not much prep involved and only requires dirtying one pot. 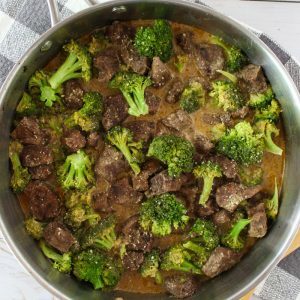 We personally like to eat our one pot beef and broccoli with a big heaping serving of cauliflower rice. But if you and your family aren’t following a low-carb diet, no worries! 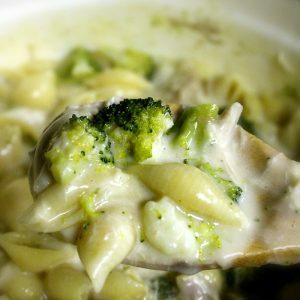 Just serve it over some steamed rice or quinoa, or on top of garlic noodles and you have a very filling, super simple weeknight dinner that everyone will love. Season beef with salt, pepper, garlic powder and paprika. In a large pan, melt butter over medium heat. Add in beef and brown on both sides about 5 minutes. Remove from pan and set aside. Pour beef broth in pan and deglaze (scrape brown bits off the bottom of the pan) Whisk in the brown gravy powder and xantham gum and bring to a low boil. Reduce heat to low and whisk in sour cream until fully mixed. 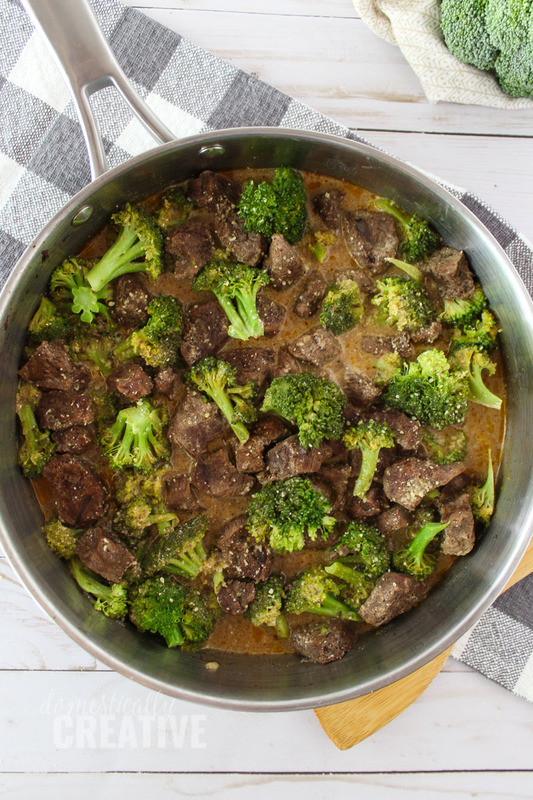 Add beef and broccoli back into pan. 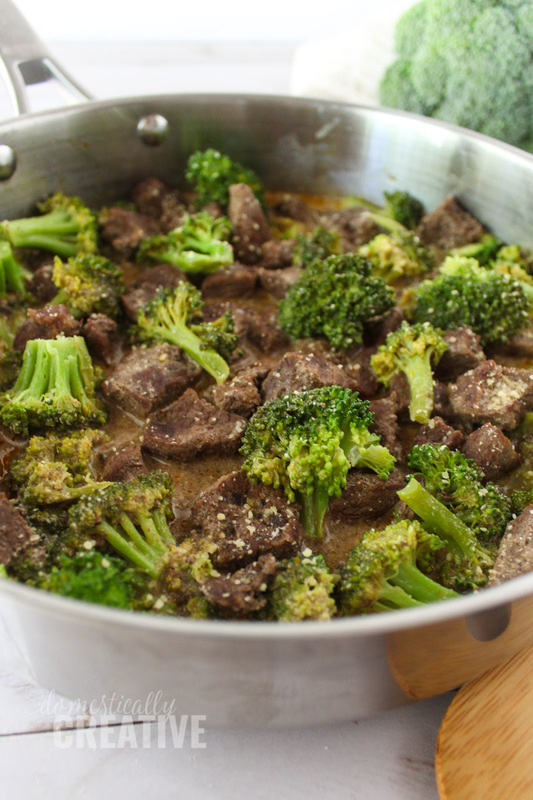 Cover pan with lid and continue simmering on low heat for 10 minutes, or until broccoli is fork tender. I’ve made this something similar before from a recipe that I got from Pinterest! Except, I used ground beef and a little low sodium soy sauce and some ginger. And it turned out GREAT! I cant wait to try this! Hope you enjoy it Katlyn! Interesting recipe. Never tried beef with broccoli before.